Hotel safes offer holiday makers or business travellers peace of mind that important items are locked away when they are away from their hotel room. 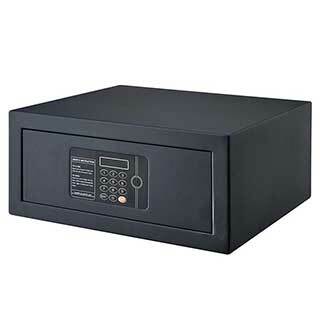 Hotel safes come in a variety of sizes and will mostly operate on an electronic lock with a master override key. Some Hotels may decide their guests need laptop sized safes if they mainly have business customers, whereas smaller hotels might prefer to place smaller sized safes in their rooms, which would be suited for smaller items such as camera’s, telephones, iPods, passports, cash and keys. Our safes are suitable for wall, floor or cupboard mounting (holes are in base and back). They are manufactured from solid steel to resist an attack from hand and power tools. 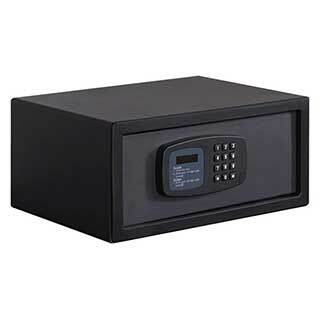 All our safes are ideal for use in hotels, the home or office. Digital Laptop Safe. 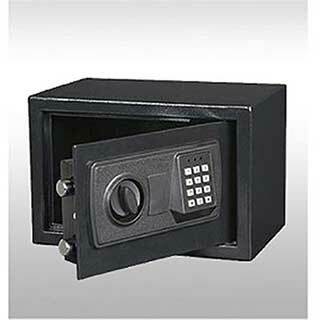 Made from solid steel with fitted electronic locking mechanism to provide security on the contents of the safe. A a compatible Computerised Emergency Unit (CEU) can be purchased separately to open the safe and obtain entry logs. Suitable for wall, floor or cupboard mounting. Master password available with CEU device (sold separately) Password entry instructions on the door. Back up power pack. 2 x back up keys. 4 x AA Batteries. Black finish. Hotel room compact safe in black. Made from solid steel to resist an attack from hand and power tools. Ideal for home, office or hotel. Perfect for keeping valuables safe. Suitable for wall, floor or cupboard mounting (holes are in base and back). Simple guest operation. Guests choose their own 3-6 digit code. Locking via manual handle. Emergency override facility. Compatible with our Digital Laptop Safe. 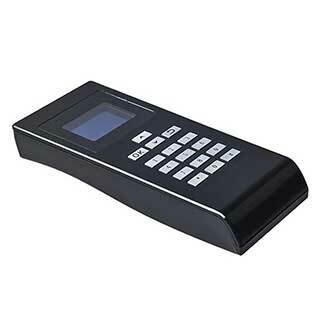 This device allows the hotels to obtain entry logs or open the safe during an emergency. Opens Digital Laptop Safe. Synchronizes Digital Safe clock. Reads safe records. Holds 125 records of passcodes. Sets Digital Safe's master passcodes. Sets lamp. Cable from CEU to safe included. Cable from CEU to computer included. 4 x AA batteries included. 3 - 6 figure guest code. 6 digital manager code. Full operating instructions. Spring loaded door. Internal LED light. Suitable for most tablets and laptops up to 14"
Internal Dimensions: Height: 178mm Width: 415mm Depth: 270 mm. Aperture: H: 133 x W: 360 mm (not inc hinge).